This is an entry for the Lost Unicorn Gallery Let It Snow photo contest. There’s not much to say about it; the title really says it all. Spiffy photos taken with the indispensible aid of my LumiPro. I never enter photo contests without it. Ever. 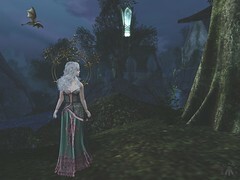 This entry was posted in A second life in pictures, contest, Gwyneth and tagged Argrace, Bauhaus Movement, Catwa, contest, E.V.E., Ever An' Angel, Lost Unicorn Gallery, Lost Unicorn Gallery Faerie Tale Sim, LumiPro, Maitreya, Mesange, Stardust, The Plastik. Bookmark the permalink. Best of good fortune with the contest!